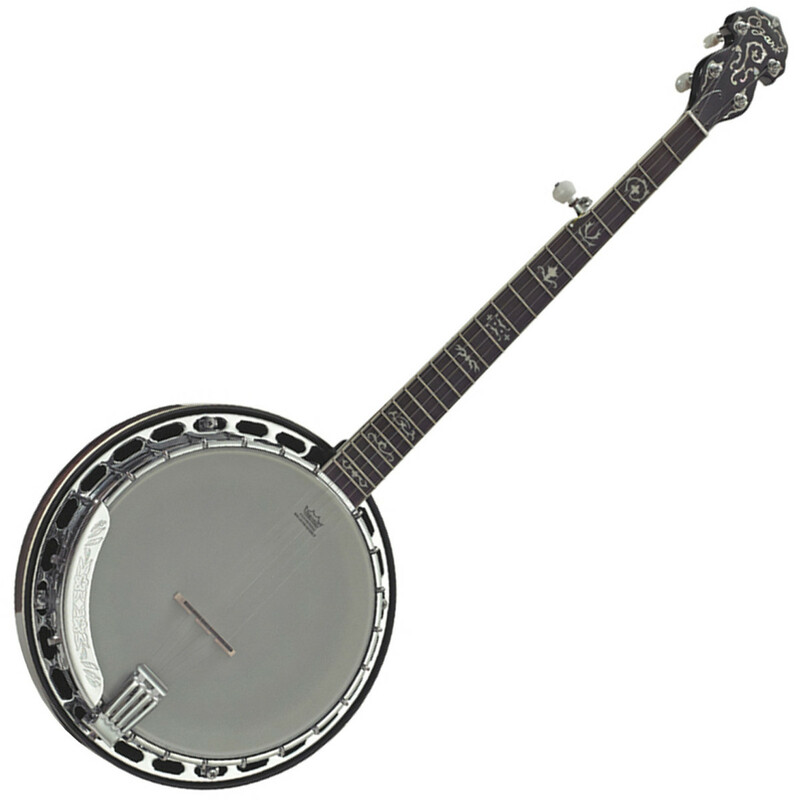 The Ozark 2141G is a high quality 5 string banjo that has a wood shell and an attractive flamed maple resonator with inlaid rings. The solid construction banjo features a Remo Weatherking head and chrome plating on the fittings and armrest. The double coordinator rods allow you to alter the 'action' of the banjo to suit your particular style of playing. The 2141G delivers a bright, clear tone with plenty of volume.